Experts believe that our ‘happiness index’ is U shaped, i.e. it starts out high in our childhood and teenage years, then dips in our 30s, 40s and 50s, then rises again for our more ‘senior’ years. Research has shown that, despite the natural issues which come with aging, people between 30 and 50 have much higher levels of depression, stress and anxiety due to family, career and financial pressures. Scientists from the University of Chicago believe that ‘seniors’ are fundamentally happier because they have reached a stage in their lives where they have developed positive psychological traits, for example healthy self-esteem plus good social skills and social integration. Further research from Brown University has also found that while younger people crave and put so much pressure on themselves to have big experiences, such as travel, falling in love and thrill-seeking, older people place higher value on everyday experiences and simple pleasures. If you’re getting close to retirement age, stop worrying about growing old and start making plans which will make you happier. For example, you could take that trip you’ve always dreamed about, or simply plan some weekends away to reconnect with old friends or family. 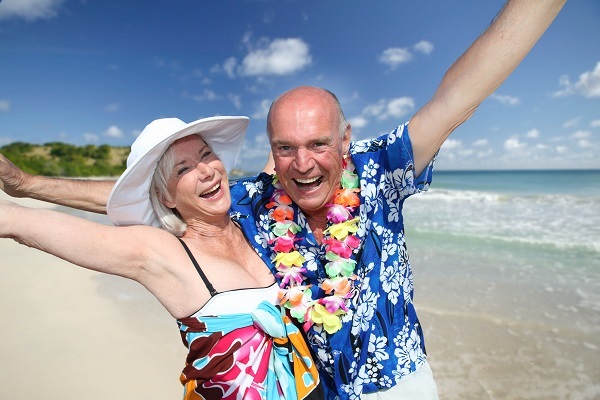 For award winning over 65s travel insurance, visit our website.